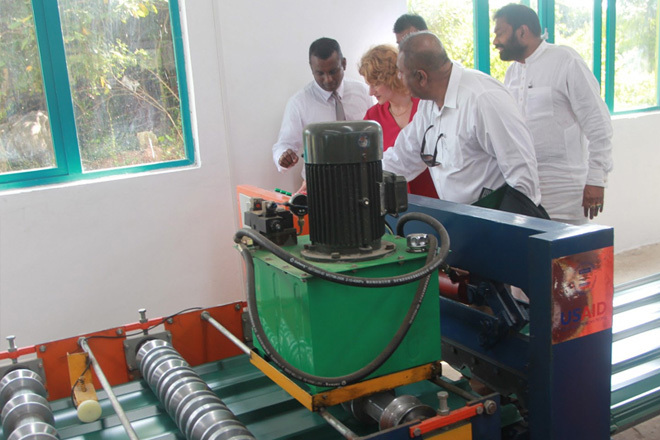 May 28, 2015 (LBO) – Sri Lanka’s roofing products manufacturer, Building Solutions on Wednesday commenced operations at a new eco-friendly roofing products factory jointly funded by USAID. The factory built at a cost of 80 million rupees is located in Ampara and produces corrugated steel roofing and silos, generating hundreds of local jobs. Apart from jointly investing in the factory, the United States Agency for International Development (USAID) also provided training and expertise in specialized areas such as energy efficiency. 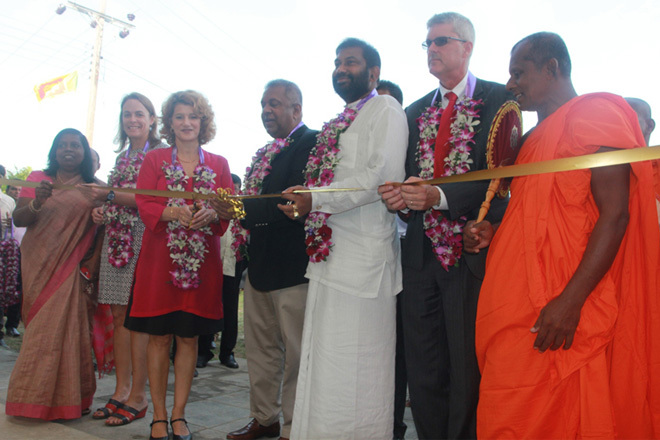 “The opening of this factory is an example of the ongoing and deepening relationship between the U.S. and Sri Lanka” said Foreign Minister Mangala Samaraweera at the opening ceremony. The products are 100 percent recyclable and the entire eco-friendly manufacturing process will reduce energy consumption and recycle waste, U.S embassy in Colombo said in a statement. This project is supported under USAID’s VEGA/Biz+ program, which provides small enterprises of economically-lagging regions with financial, technical, and managerial assistance. “This factory is an excellent example of the U.S. Government and the American people’s commitment to economic and social progress in Sri Lanka,” said Allison Areias of the U.S. Embassy.